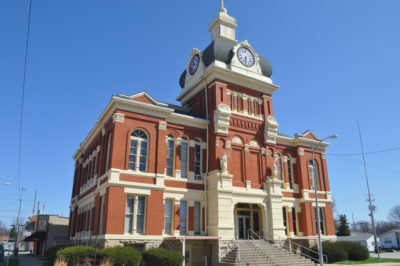 A Scott County meth trafficking case may end with no jail or prison sentences. Two men from Missouri were stopped on Interstate 72 at the beginning of the year in Scott County and were subsequently arrested for possession of methamphetamine between 15 and 100 grams, delivery of meth between 15 and 100 grams, and meth trafficking. Last month, 26 year old Brett Marler-Norton pleaded guilty to methamphetamine delivery between 15 and 100 grams and was sentenced to 2 years probation and 30 hours public service. The other man, 32 year old Rolando Reyes-Espinoza, was last in Scott County court on March 12th when he pleaded not guilty on all counts. The exact amount of methamphetamine found, according to previous reports and comments from Scott County Sheriff Tom Eddinger, was 56 grams. According to Sheriff Eddinger, all contraband in the vehicle was in the possession of Marler-Norton. John Coonrod, the defense attorney for Reyes-Espinoza, filed a motion to quash and suppress evidence on April 3rd in regards to this case. Attorney Coonrod explains the motion. Reyes-Espinoza is next set to appear in court on June 4th at 9:30 am for a pre-trial conference. Jury trial is set for July 8th at 10 am.